NPR Survey: Still On Facebook, But Worried : All Tech Considered NPR asked Americans what steps they take to protect their Facebook data. Most say they still use the site, but they're concerned about who can see their information — and how it can be used. Facebook CEO Mark Zuckerberg walks at the company's headquarters in Menlo Park, Calif., in 2013. NPR asked Americans what steps they take to protect their Facebook data. 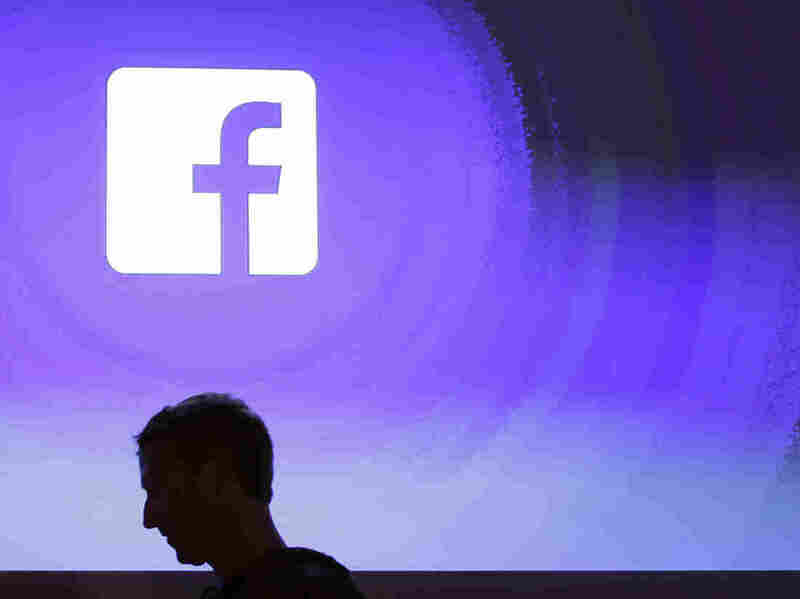 Facebook has come under intense scrutiny in the wake of revelations that election data company Cambridge Analytica accessed the private Facebook data of 50 million users. The social media giant is facing questions from U.S. and British regulators, and withering criticism in the press. But the scandal is grounded in everyday America — after all, it was the millions of women, men, parents, grandparents, friends and old acquaintances on the site who had their data accessed. NPR reached out to those everyday Americans. We asked how the unfolding controversy is affecting their views on digital privacy, and what (if any) impact it might have on their relationship with Facebook. What we found is a nation still deeply tied to the social network, but increasingly skeptical of its data privacy promises. A vast majority of the respondents said they still use Facebook or have used the site in the past. Only a small handful have left the site after creating an account, but almost all of those deserters said privacy concerns contributed to their decision to deactivate their accounts. Charlotte McGinn of Los Angeles said that "after reading all of the news about Facebook's lack of concern for their users' data," she left the site for a second time, convinced that there were "more than enough reasons to quit again." Despite these widespread concerns, most users are sticking with Facebook. And even outside of the site, they are using apps which access their Facebook data. Less than half of respondents said they knew what apps could view their profile and activity on the social media site. Of those who checked, many reported that dozens of apps had access. For some, that number was even higher — at over 100 apps with some level of access to their Facebook data. But users still try to limit what apps they allow in. Chicago's Reuben George says he will "only allow apps that I trust and use." And Sarah Friesen from St. Louis said she tries to "periodically review which apps are authorized and remove them if rarely used." And while there are no signs yet of mass departures, the site's growth has been flat inside of the United States for the past two years. At this point, just about every American who wants a Facebook profile already has one. For Facebook, that means the only direction its U.S. user base can go is down. And as we noted above, nearly every respondent to our questionnaire who left Facebook said they did so because of data privacy concerns. But leaving the site is an extreme measure, and most users who responded said they try to find a balance between Facebook's convenience and its reliance on their personal data. Almost all respondents indicated that they take some measures to limit what others can see about them. Many try to control their online audience. "I limit what I post and make public," Carl Pittman told NPR. "My posts are directed at my friends." Others avoid apps, websites and programs that request their data or seem suspicious. And one respondent even said she uses a private security company to lock down her personal data. But respondents said they were unsure what options and settings they had available to protect their private information. Jennifer Socarras, from Georgia, said she tried to block Facebook's data collection but its policies were "hard and confusing." Steven Begy of Rochester, N.Y., said he used the tools provided by Facebook, but added: "I haven't done so in about 5 years, and who knows what has changed in that time." For many users, their concerns extend beyond the threat of identity theft or having their boss see an embarrassing photo. As the Cambridge Analytica episode illustrates, the data found on Facebook can be used in ways never predicted — or consented to — by its users. Kristine Hester, a public school teacher near Chicago, says she needs to maintain a professional presence online. But she said she's "increasingly concerned" about the ways big data can be utilized, fearing that the information can be "used to, essentially, create psychological weapons of culture war." And this sentiment — that the current episode is a reflection of a broader technological shift — is common. "Is this just an issue with Cambridge Analytica, or the tip of an iceberg?" one respondent asked. For Hester, it raises tough questions for the social media site. "How does Facebook square its 'values' of promoting human connection with the unbelievable ease with which society utilized it (and other platforms) to sow discord and division?" she asked.